Recently I received a bundle of Paperblanks products. I’ve reviewed all but the Lindau Gospels journal. I’m trying a briefer style, and for various reasons have fewer examples for performance. 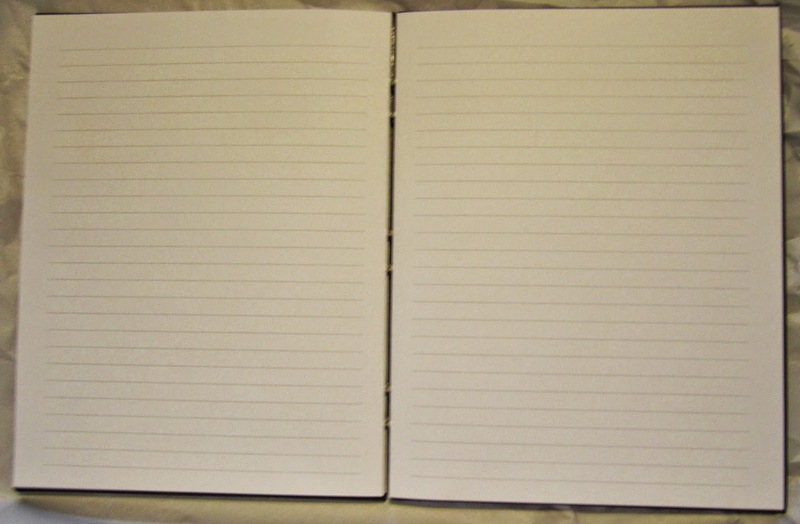 I hope I’ve still given you what you need to decide if this would be a journal for you. NOTE: Paperblanks come in several sizes, shapes, and variations–planners, notebooks, journals in lined, graph and blank paper. 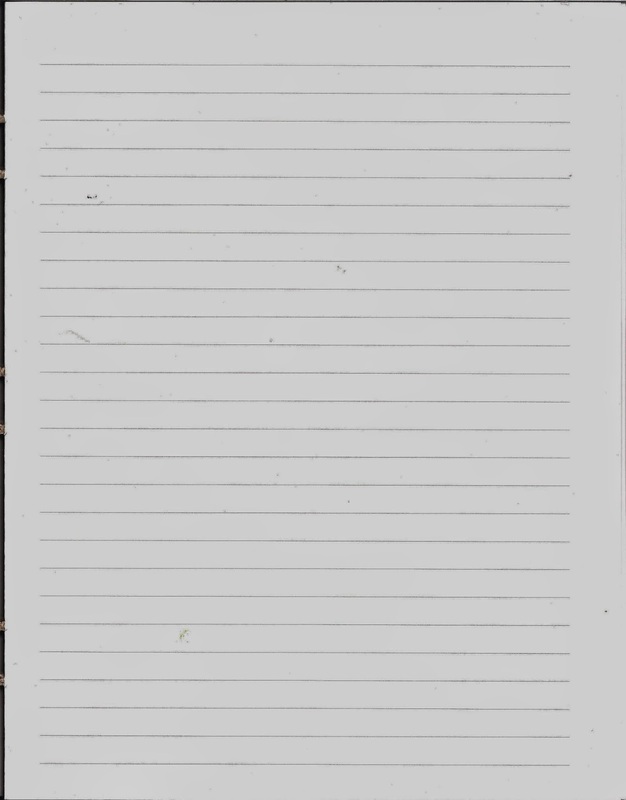 I am reviewing the Ultra size, lined paper. If you decide to buy one pay particular attention to the details so that you get the product you want. The cover of the Paperblanks Lindau Ultra journal is based on the Lindau Gospels recorded as being created between 750 and 800 AD. It’s made of thick, heavy and rigid black board with the Lindau embossed on the front, and standard Paperblanks gold-brown frontispiece on the backside. 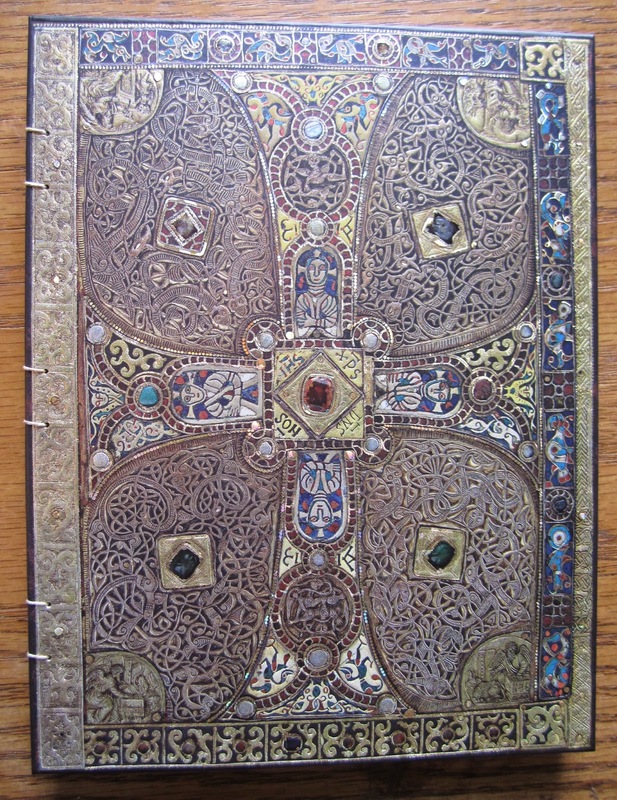 The back piece has a short history of the Lindau Gospels written in English on one side, and in French, German, Italian, Spanish and Japanese on the other, and there is a pocket on the inside back cover. The is similar in feel to thin manila cardstock, though it is not. The color is white with light grayish-brown lines (they show darker than true on my PC). The binding is hand-stitched. If you are unfamiliar with sewn bindings, books have ‘signatures’. They are a number of sheets, one inserted into another and sewn together in the middle. The Lindau has signatures of 4 sheets. These signatures are then sewn together in a variety of methods. The Lindau uses a Coptic style to sew the signatures together. Normally you don’t see the details of the stitching, but you do with the Paperblanks hand-sewn editions, which makes them interesting just for that. On the inside of each signature, you’ll see where the knots are tied for that signature. On the other pages of the signature, you just see the loops, in and out. Where the signatures are tied together there is a small gap, and you’ll see the knots holding the signatures together. On the outside, you see the Coptic stitch in all it’s beauty. 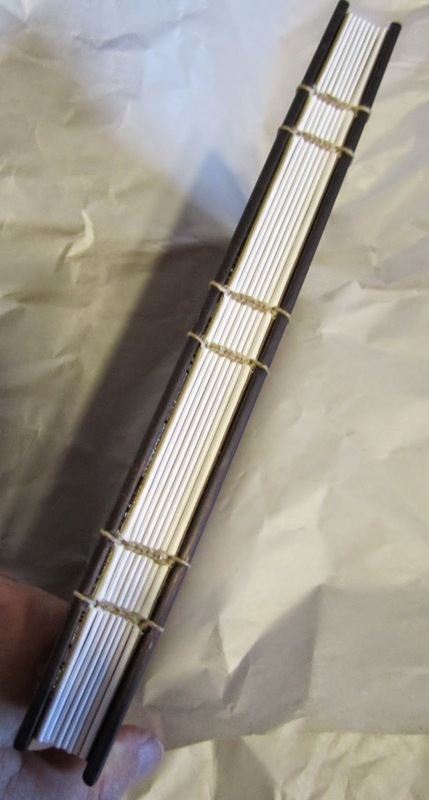 This style of binding allows the book to lie flat, flat, flat. 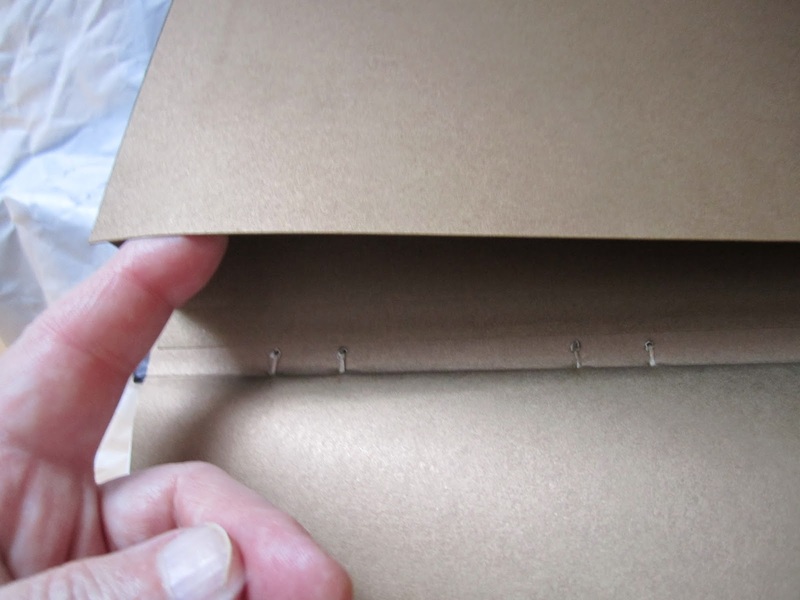 You have some room for expansion, so you could glue ephemera or photos onto the pages. However, the thread used for stitching could stretch if you overdo this. I don’t think pages would fall out, but they might hang loosely. I choose two examples for testing performance, ones that I felt took the paper to extremes. The paper is fountain pen friendly. 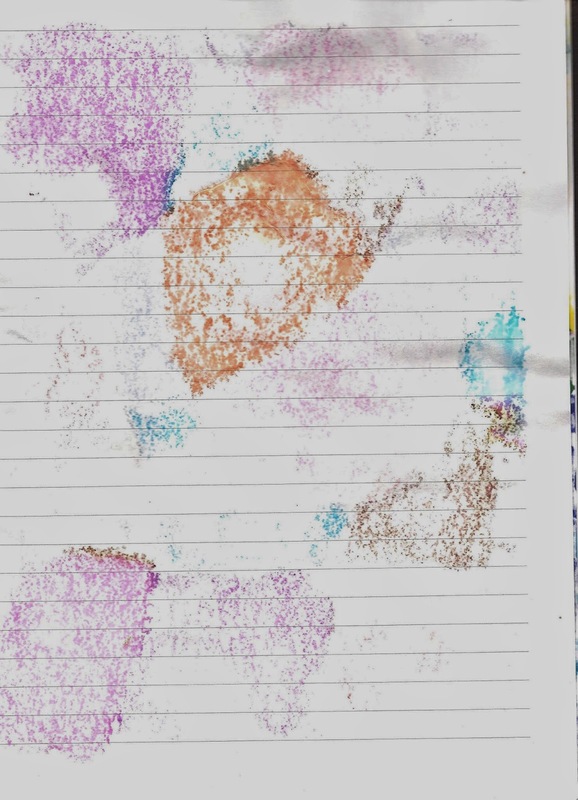 I did see a bit of feathering with the wetter inks, but I had to look closely and I was looking for it. I don’t think most would notice. Show-through was minimal, and my circles left tiny spots of bleed-through. I couldn’t get either to scan. 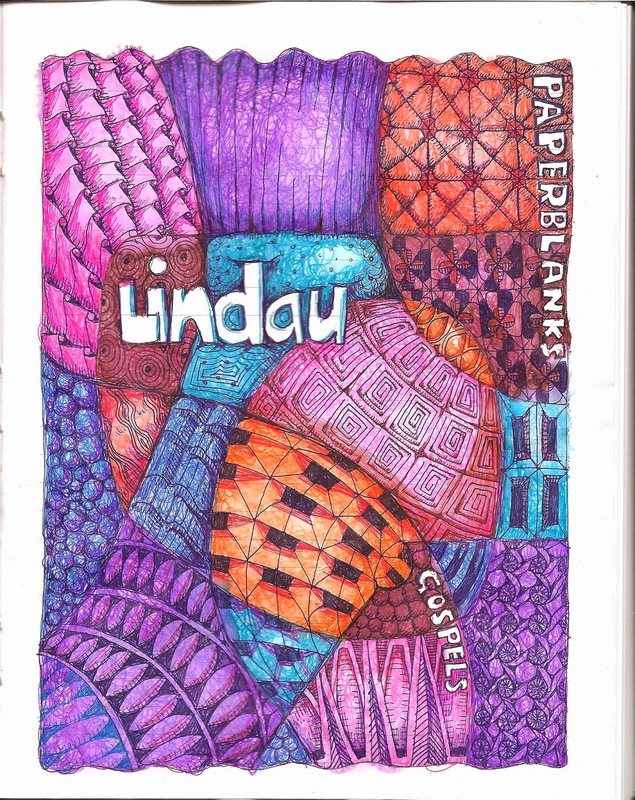 I used Pilot Hi-Tec-Cs Maica gel ink pens. In some places, I added lots of water, in others there was very little. The colors from these pens are bright on their own. In this book, they are about the middle of their scale, so I say the paper tends to the sombre side of color, though I wouldn’t call it dull. There was quite a bit of show-through and bleed-through, both dependent on the amount of water I used. There was dimpling, and it was fairly severe at the wettest points – you can see it at the right about half-way down. This is left after the page was weighted down overnight, so I think it’s permanent. When describing the paper, I mentioned it felt like thin manila cardstock. 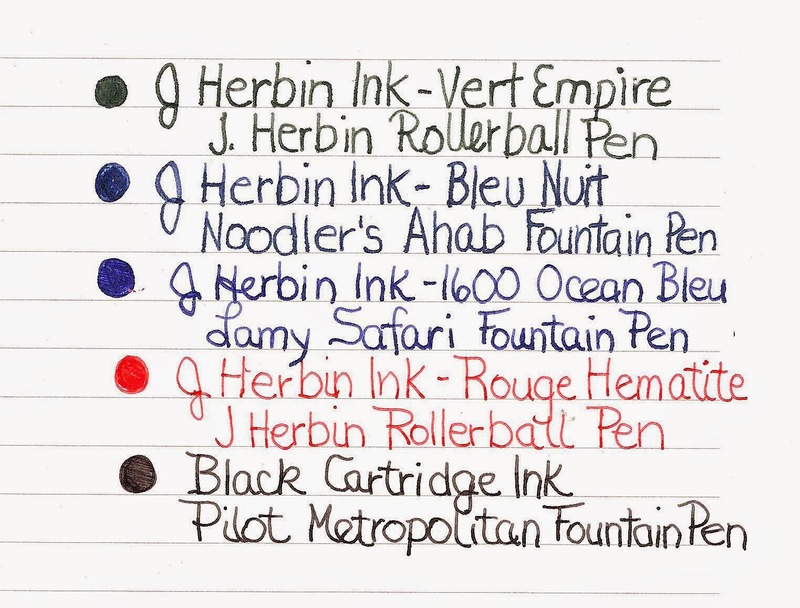 I found the performance to be similar, though it handled fountain pen ink better than the usual manila. To own a Paperblanks Lindau Gospels Ultra journal is like owning a slice of history. The quality of production and binding is excellent and the hand-sewn stitching is not something you see every day. The paper won’t be the first choice for fountain pen aficionados or water-colorists, but both might find it more than acceptable for casual use. The stitching allows some expansion, so it could be used for adding photos, ephemera or chunky mediums, as long as things don’t get too wet. At 1.1 pounds, it isn’t light, and probably isn’t the book you’d take on your travels. But, it is a delight to work in, and would grace any desk or table. The Paperblanks Lindau Gospels comes in journals, planners, and address book of various formats and sizes. Please visit their website to find both local and online stores that carry their products. Disclaimer: I received this journal as a thank you from Paperblanks, but was not asked to review it. All opinions expressed in this review are my own.